The early season woes continue for most of the local high school boys basketball teams, as evidenced this weekend. Waterloo and Gibault dropped two games each and Columbia lost at home. Valmeyer bucked the trend, however, to get back to the .500 mark. 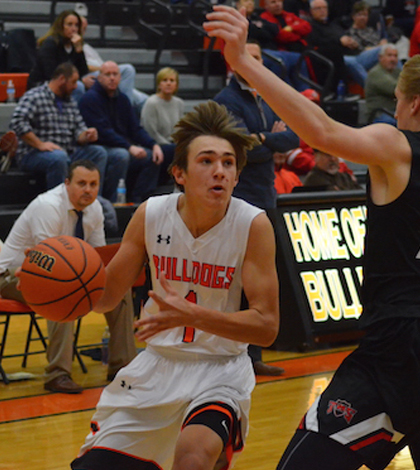 The Bulldogs led 23-19 at halftime but couldn’t hold down Triad in a 56-53 loss at home Friday night. Tre Wahlig scored 20 points and Ross Schrader added 14 for the Bulldogs in the Mississippi Valley Conference clash. Waterloo faced an even tougher challenge at Carbondale on Saturday, falling 63-26. The ‘Dogs (2-5) host Chester on Tuesday. Across town, Gibault lost two home games over the weekend. The Hawks (2-5) have now dropped five straight. On Friday, Gibault led 31-30 over Metro-East Lutheran entering the fourth quarter but the Knights pulled away late for a 50-43 win. Karson Huels led the Hawks with 18 points on the night. Gibault shot just 19.5 percent from the floor in a 37-21 loss to Nashville on Saturday night. The Hawks were outscored 14-3 in the second quarter. Huels led the way again with 10 points. Columbia (1-4) was poised for a solid home victory on Saturday night but Belleville East turned on the jets in the fourth quarter for a 59-49 win. The Eagles were outscored 22-13 in the final frame. Jon Peterson led Columbia with 20 points and nine rebounds in the loss. The Eagles play at Salem on Tuesday. Valmeyer (4-4) spoiled New Athens’ homecoming game on Friday night, winning 62-44. The Pirates led 30-20 at halftime and shot 48 percent from the floor for the game. Michael Chism led Valmeyer with 17 points, followed by Owen Miller with 14. The Pirates host Dupo on Dec. 15. 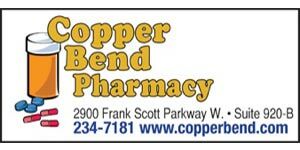 In other local hoops action, Red Bud improved to 5-2 on the season with a 45-38 victory at winless Dupo on Saturday. Griffin Ziebold scored 18 for the Musketeers; Kyle Steinhauer scored 18 for the Tigers.